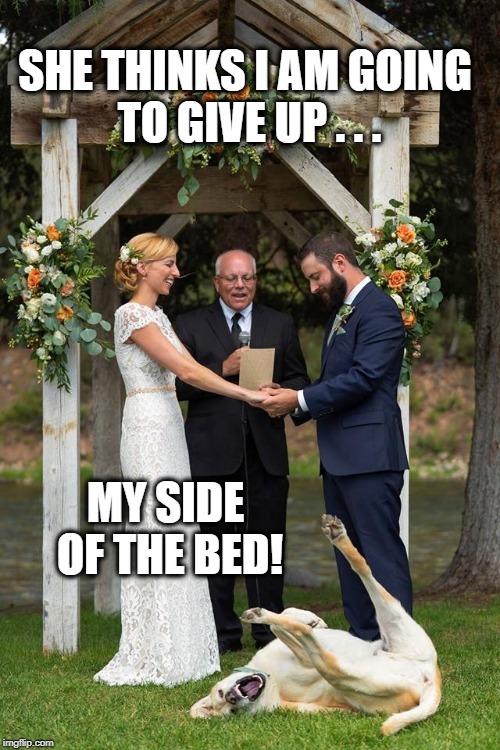 It is my side of the bed! SHE THINKS I AM GOING TO GIVE UP . . . MY SIDE OF THE BED!